Diffuser Specialist is a nationwide master distributor and manufacturer of ceiling light covers, lenses, light diffusers, and plastic lighting accessories. We stock a wide range of products from simple prismatic acrylic sheet to the latest in energy efficient retrofitting technology – and to put it in laymen’s terms, that means we have a perfect light cover for all of your needs, functional & aesthetic. Our friendly and knowledgeable staff can help you find exactly what you need and, if we don’t stock it, we can manufacture it to your exact specification. We are centrally located in the continental U.S. and have shipping warehouses in both San Antonio and Houston, Texas that allow us to quickly reach our customers across the United States. Since we are located in a major shipping hub, we can also ship to our international customers quickly and inexpensively. As an already successful representative for Republic Conduit, Don Griffin was always looking for a new line to which he could apply his sales expertise. Don was immersed in the electrical industry and noticed a need for replacement lenses, ceiling light covers and lay-ins of all kinds. Diffuser Specialist was started in 1982 by Mary Ann and Don Griffin with the philosophy that it is always cheaper to replace the lens than replace the entire fixture. With very loyal customers, Diffuser Specialist quickly grew into South Texas’ primary source of diffusing materials and accessories. The 90’s brought rapid growth as Diffuser Specialist expanded their product lines. As the business grew, Mary Ann found herself taking a larger role in the company and became CEO. Under her guidance, Diffuser Specialist branched out through the rest of Texas with a second location in Houston. This new location allowed for quicker shipping times to national and international customers. Our large warehouses and family owned hospitality make us the number one choice for all your plastic diffuser and electrical supply needs. Philosophy: why replace the whole fixture when all you need is a lens? In the 90’s: Growth & prosperity allow Diffuser Specialist to quickly become South Texas’ primary source for ceiling light covers. Mary Ann gains a larger role in the company and becomes CEO. Diffuser Specialist expands and opens new locations which allow for efficient shipping to national and international customers. 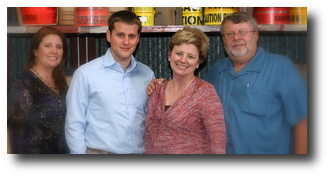 Diffuser Specialist is family owned & operated, even today. Why replace the whole fixture when all you need is a lens? Get in Touch …and order only what you need!